The Detroit church once led by Aretha Franklin's father -- and where she first tested her remarkable voice -- filled with music once again Wednesday as dozens gathered for a prayer vigil for the ailing "Queen of Soul." Civil rights leader Jesse Jackson and music legend Stevie Wonder were among the latest to visit the 76-year-old icon, as news of her failing health led to a flood of well-wishes this week. 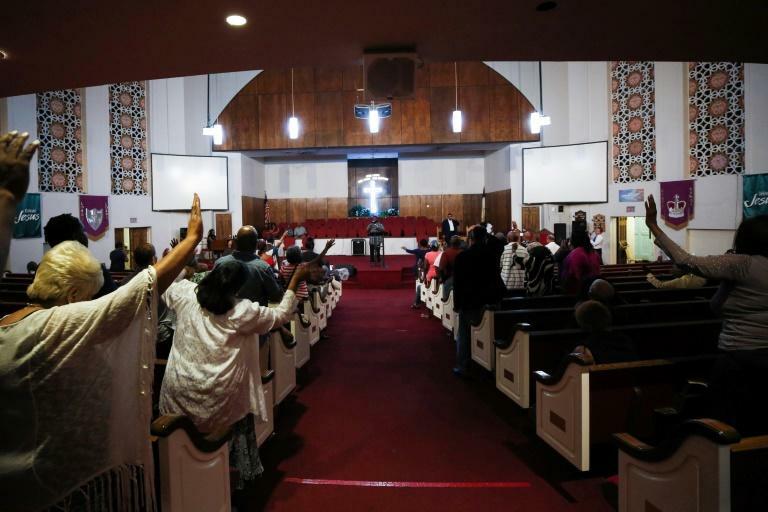 Dozens, including ministers from multiple Detroit-area churches, gathered at New Bethel Baptist Church for a 5:00 a.m. (0900 GMT) service dedicated to Franklin, who influenced generations over a five-decade career. Few details have emerged about the singer's condition or illness, but she is said to be in hospice care, surrounded by family and friends. The singer's father CL Franklin was a preacher at New Bethel church, where a young Aretha got her start singing gospel music. 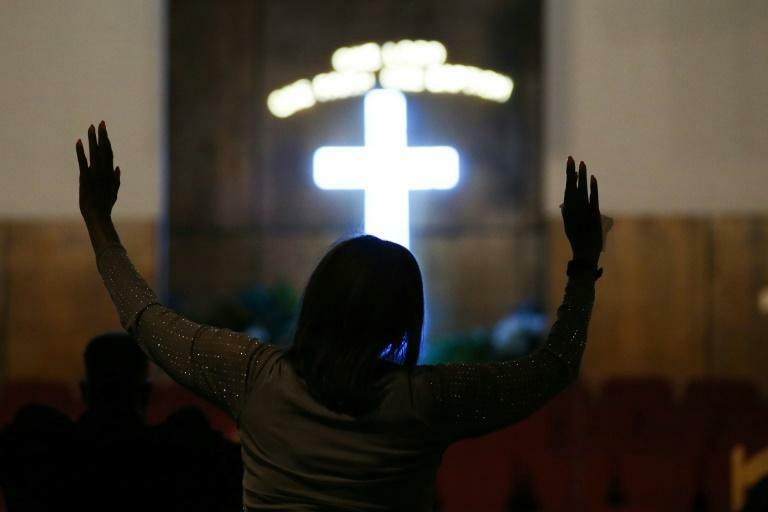 And gospel music once again shook the walls of the church during the early-morning service in honor of the creator of unforgettable hits such as "Respect," "Natural Woman" and "I Say a Little Prayer." The 18-time Grammy award winner maintained ties with the church throughout the years, including making financial contributions and hosting events. "She would have loved to have been here," Franklin's assistant Fannie Tyler told assembled news media, while thanking the church for the vigil. Franklin influenced generations of singers from pop diva Mariah Carey and the late Whitney Houston, to Alicia Keys, Beyonce, Mary J. Blige and the late Amy Winehouse. The vigil was part of an outpouring of well-wishes this week from celebrities and fans alike. Stevie Wonder visited Franklin on Tuesday, according to her spokeswoman Gwendolyn Quinn. While Jesse Jackson was said to have visited Tuesday, as well, the civil rights leader confirmed that his visit actually took place Wednesday. "We visited and prayed with ‪@ArethaFranklin today," Jackson later tweeted, "Please continue to keep her in your prayers. Ask that God's richest blessings be bestowed upon her." Jackson told the Detroit Free Press that he has visited Franklin multiple times over the last "two or three years during the course of her illness." The former organizer with the late Martin Luther King Jr. highlighted Franklin's contributions to the American civil rights movement. "When Dr. King was alive, several times she helped us make payroll," Jackson told the newspaper. "Aretha has always been a very socially conscious artist, an inspiration, not just an entertainer." Franklin was the first woman inducted into the Rock and Roll Hall of Fame, and sang at the inaugurations of two presidents -- Bill Clinton and Barack Obama. "Like people all around the world, Hillary and I are thinking about Aretha Franklin," Clinton said Monday on Twitter. Beyonce dedicated her Detroit concert Monday to Franklin, while Chaka Khan, the Queen of Funk and Franklin's contemporary, said on Twitter: "I fall asleep tonight with a heavy heart & a prayer for my soul sister."